Through our Carlisle Precision Encapsulation Parts subsidiary, Natoli Engineering manufactures premium spare parts, change parts, and change part kits for most major brands of encapsulation machines. Precision engineered and manufactured from the highest quality materials, our encapsulation change and spare parts meet and often exceed the functionality and longevity of original equipment manufacturer (OEM) parts. Our state-of-the-art manufacturing facilities, award-winning engineering team, and dedicated production crew enable us to offer competitive pricing without compromising our high standards of quality and customer service. From dosing disks, magazine assemblies, and wiper blocks to upper and lower segments, pins, and more, our premium change and spare encapsulation parts are suitable for use with ACG, Bosch, Capsylon, Bohanan, Sejong, and other encapsulation machines to help you get back into production quickly. We maintain a large on-site inventory of parts, which means many orders ship same day. Need a part not found in our catalog? Send us a sample part and we will reverse engineer it and send you the first part produced at a discounted rate. Some conditions do apply. Contact your Natoli representative for details. Each year we custom-make hundreds of parts engineered to our customers’ specifications. This is a special service we offer to our customers for those “hard-to-find” change and spare parts. All parts manufactured in the U.S.A.
Why hold off production for weeks while you wait for a part when you can call us now and have it tomorrow? If the part you’re looking for is not listed, contact us today using the form below and we’ll help you find it! How did you hear about Natoli? 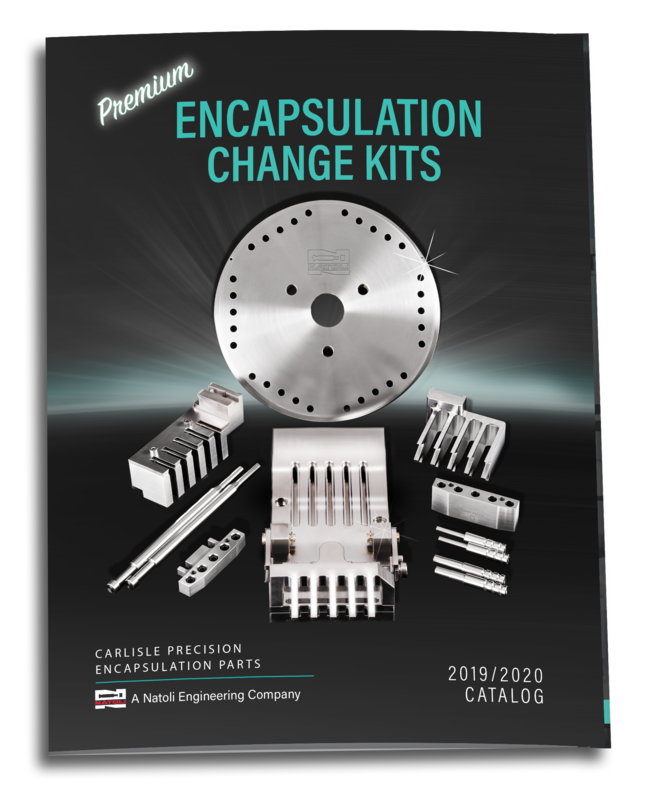 Download Our Encapsulation Change Kits Catalog! 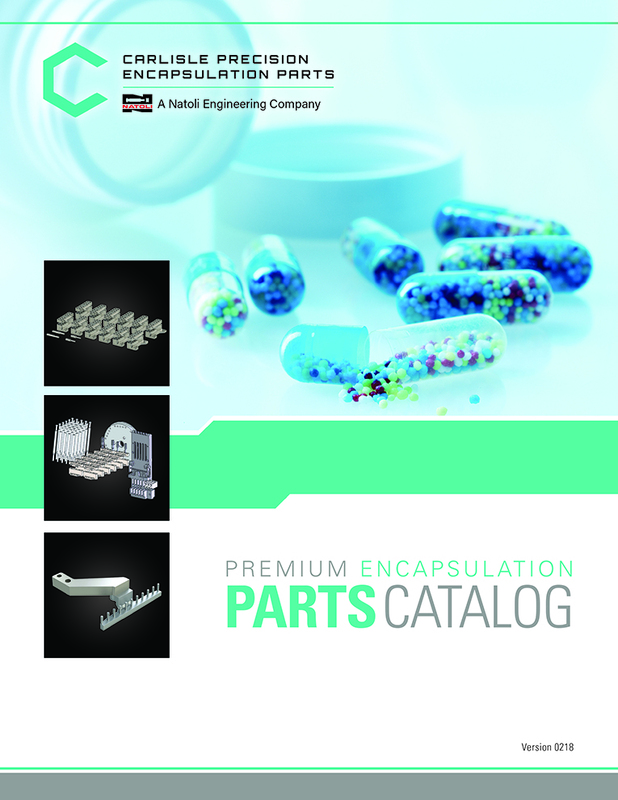 Download Our Encapsulation Parts Catalog!